It’s a busy time for Team Just Juice. We’re working hard to get our range of shortfills and nicsalts launched and ready for sale in March. We can’t tell you how much research we’ve done into our flavours. Our team think you’ll love them. A whole lot of oranges go into this tangy Mediterranean mix. You get the perfect balance of sharp citrus rind and naturally sweet and fresh summer juices, with a little hint of raspberry too. One minute it’s sharp. The next it's sweet. Your tastebuds are in for a treat with this mouth-watering raspberry vape juice that has a wicked twist when you’re least expecting. You know how nice it is to down a freshly-squeezed fruit drink on a warm day? This mouth-watering juice tingles your tastebuds exactly the same way, with fizz and zing for a refreshing citrus blast. Blackberries? Check. Blueberries? Check. Strawberries? Oh, go on then. All your favourite wild summer berries make an appearance in this luscious and juicy vape-quenching blend. 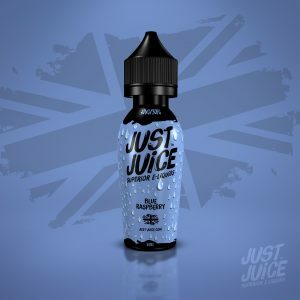 Exotic kiwis are mixed with freshly picked cranberries in this colada-infused vape juice. You get a sweet, sour and icy inhale, leaving your mouth feeling refreshingly fruity long after. If you’re into your tropical fruits, you’ll love this delicious blend. It hits you with a sweet and juicy mango treat on the inhale, with an equally exotic tart passion fruit aftertaste that lingers. Stock is in production and will be ready for March. We’re open to chatting to vape shops, wholesalers, retailers, influencers - anyone who shares our love of quality vapes! 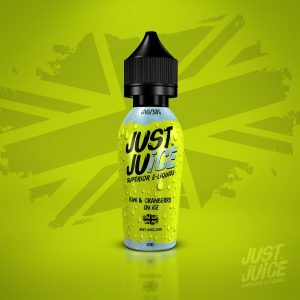 Drop us an email to info@just-juice.com. All our flavours are available in shortfill and nicsalts. We’re exhibiting at Vape Jam UK London, on April 11, 12 and 13th. Our team will be there and you won’t be able to miss us! We’re also at Vapexpo Madrid, 8th and 9th June. Right now, we’re looking for brand ambassadors. You’ll need a solid Instagram and Twitter presence and a passion for vaping. We’re offering incentives for the right people. Interested? Send an email to sarah@Just-Juice.com or message us on social media.